legacycentral bbs • View topic - Short shifters for 1992 JDM Subaru Legacy GT wagon? Short shifters for 1992 JDM Subaru Legacy GT wagon? Post subject: Short shifters for 1992 JDM Subaru Legacy GT wagon? Hey guys, yes I've looked on other threads for this answer, but I cant seem to find anyone with a 1st gen. Legacy GT. I'm looking for a short shifter for my car. People have said to get the stock WRX or STi shifter, but I got an after market shifter that should fit an 04 WRX and the knuckle was too small. Anybody have any advice? EDIT 2: Found this shifter that I think will work, but the hole that connects the shifter to the rod leading to the transmission looks way too big for the bolt that's on the stock shifter. Post subject: Re: Short shifters for 1992 JDM Subaru Legacy GT wagon? Won't fit. The only thing that's going to work without changing parts, is a short shifter that is listed for a pre-1995 or pre 1996-impreza. If it's listed for 1993/4/5/6-2001, the company doesn't know what they are talking about, and it won't fit. I did it the hard way, and changed out the shift knuckle to the new style, and put in a new style shift linkage. And added a kartboy short shift and their hardened bushings. No comparison in shift quality, the new parts are *significantly* better, and I attribute much of that to the new knuckle and hardened bushings. 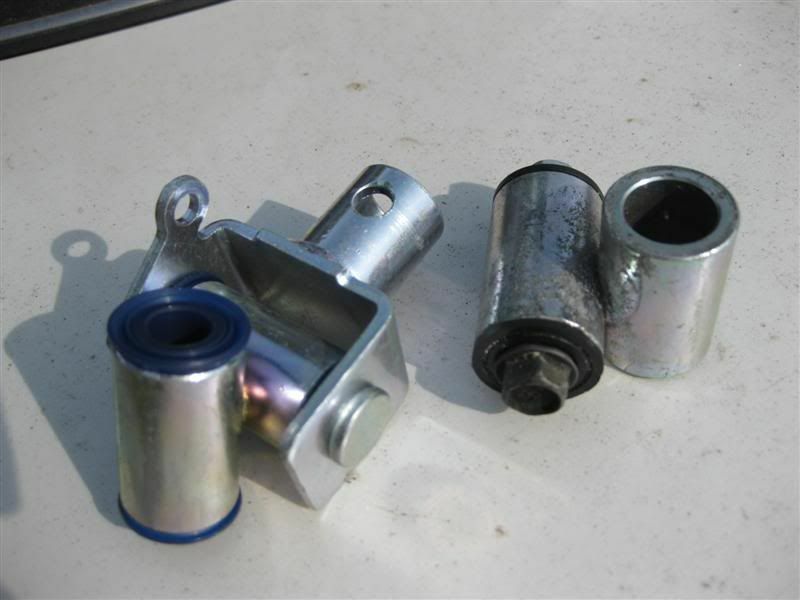 and kartboy bushings. 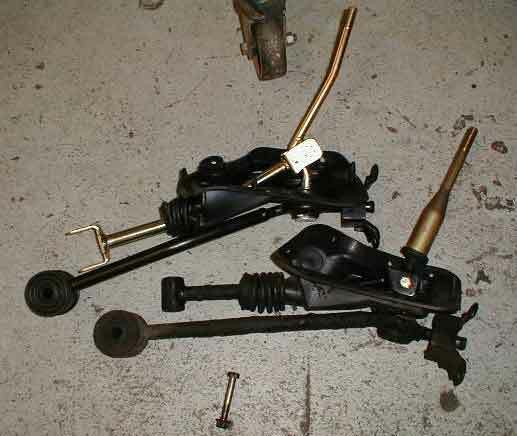 This setup will work with pretty much all the 2nd gen impreza short shifters you can find. Bruh. Those look like my pictures. Lol get yourself a newer shift linkage and swap it out like Mike says. I did this as well. Used a kartboy Wrx shortshifter that fit the new linkage. All new bushings including that joint coupler part above. Feels awesome. Yeah the best option is the track down a complete linkage for a newer model that is compatible with the commonly available short shifters. Plus get a new u-joint/knuckle or at least replace the bushings. 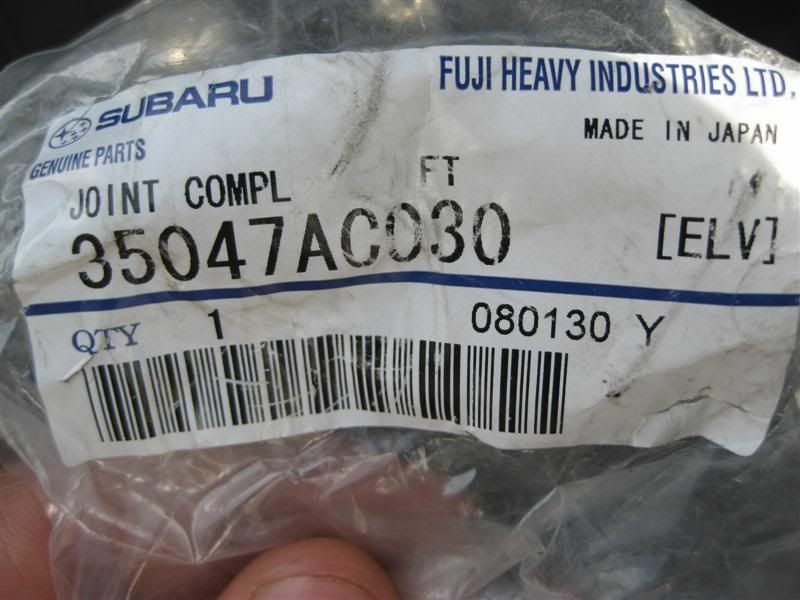 06-07 impreza/wrx would be ideal because the u-joint comes apart and TIC makes bushings for it. So any year model with that style setup should work for the car? Yes, 2nd and 3rd gen legacy, 2nd gen Impreza models.